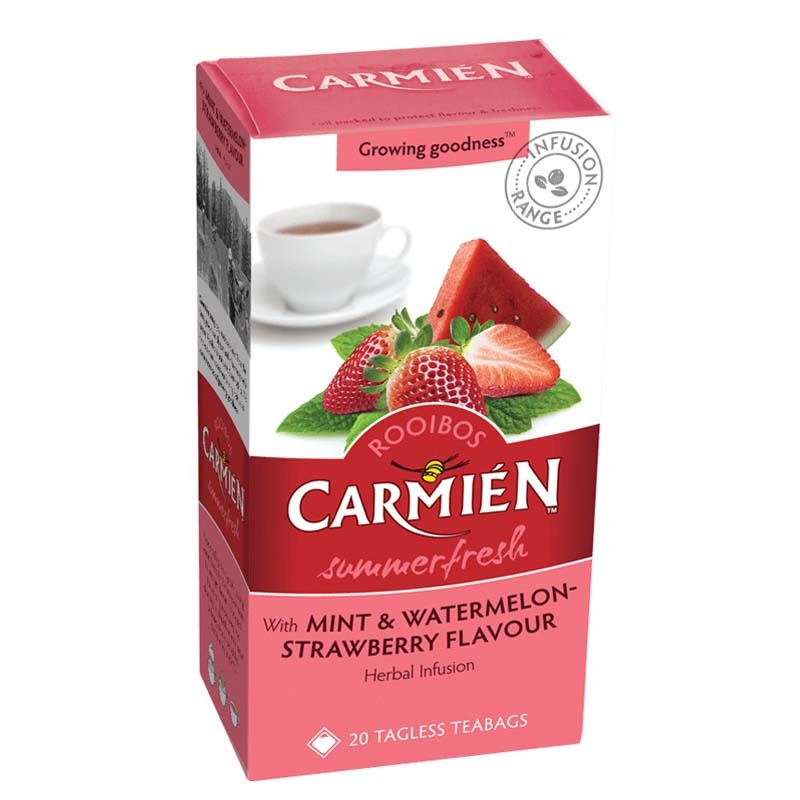 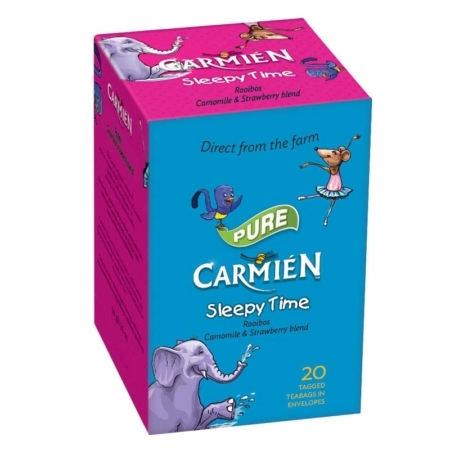 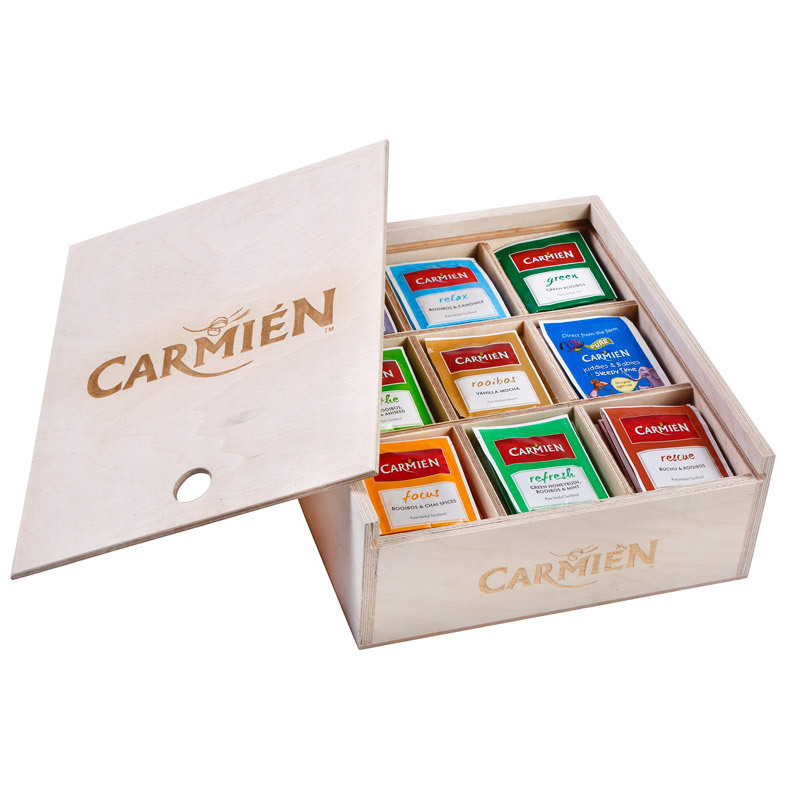 Carmién Summerfresh is a refreshing blend of green rooibos, watermelon and strawberry aromas with a hint of fresh spearmint. 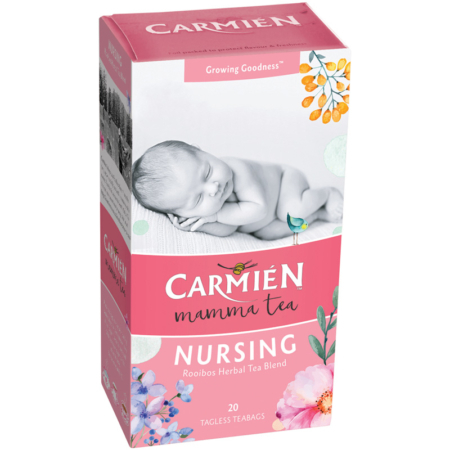 This fruity tea has added hibiscus and rosehip for additional health properties. 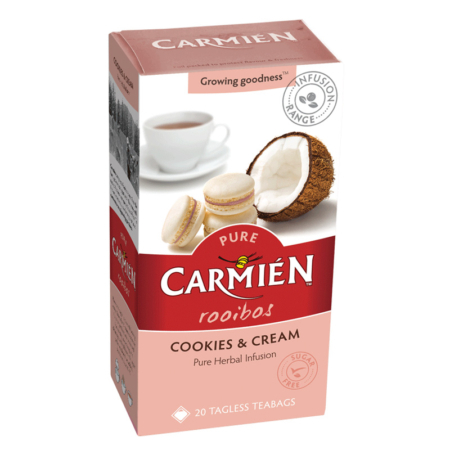 The addition of hibiscus to the green rooibos and honeybush gives an increased level of antioxidants, anti-inflammatory and anti-spasmodic benefits. 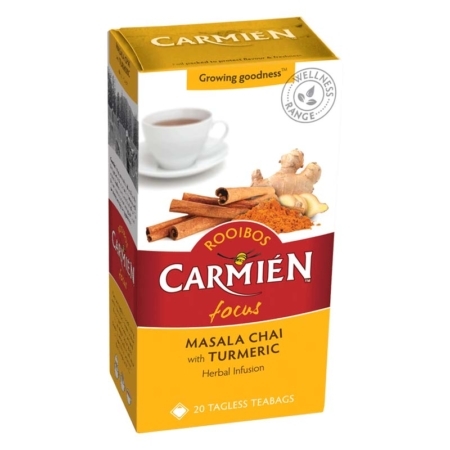 Rosehip is high in Vitamin C and is known to have a calming effect. Tip: Served chilled this makes a great ice tea in summer.